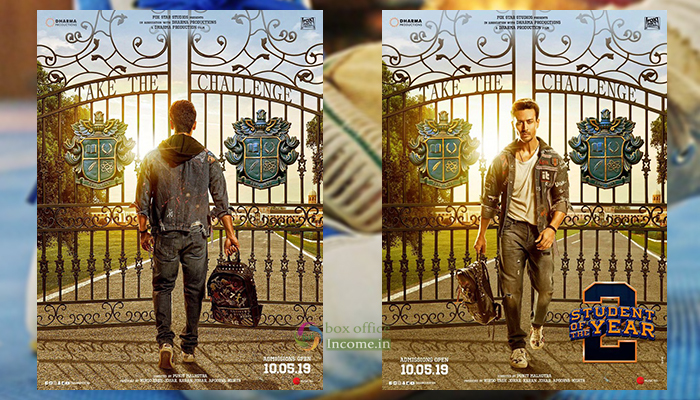 The wait for the teaser of Tiger Shroff, Ananya Panday and Tara Sutaria’s upcoming film Student of the Year 2 seems to be finally over as the makers shared new pictures from the film and said the new session will begin on April 12. The first film from the series came out seven years ago and starred Alia Bhatt, Varun Dhawan and Sidharth Malhotra. Producer Karan Johar also shared the poster of his upcoming venture with fans on twitter and wrote, “The Batch of 2019 is ready to enter these gates and this time, it’s going to be bigger than EVER! #SOTY2”, “HE’S READY, THE NEW STUDENT ON THE BLOCK! But there’s more to come, stay tuned! #SOTY2”. While Ananya captioned it:Prep up and step up 👊🏻 The challenge begins! #SOTY2, “Never ‘back’ down! 😜 #SOTY2, “It’s going to be one crazy year, ready…set…go! 👩🏻‍🎓👀❤️😜🤩 #SOTY2”. SOTY 2 will mark the Bollywood debut of Tara Sutaria along with Chunky Panday’s daughter Ananya Pandey. Tiger and the two debutants had appeared on Karan’s chat show Koffee With Karan. The star cast of the film also includes Rohit Roy, Farida Jalal and Samir Soni among others. The SOTY actors Alia, Varun and Sidharth will reportedly have a cameo in the film.